I ended up in Tryon Creek State Park for a walk a few weeks back almost by accident. Now, this park is on the top of my list for great spots in Portland. 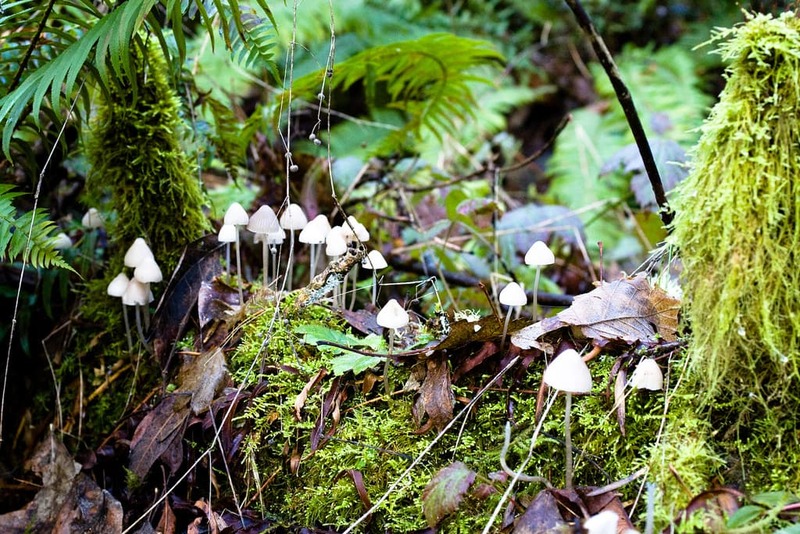 The park is an amazing 650-acre piece of forested land between Lake Oswego and Portland. Once I entered the park, I felt like I had left the city or had even stepped back in time. The forest is full of native plants and wildlife, and is what I imagine Portland must have been like before all of us lived here. When our plans to walk somewhere else didn’t pan out, my sister and I headed to Tryon Creek because it was close. I endorsed her idea because I had not really been in the park before. Yes, I had ridden my bike along the 3-mile bike path parallel to Terwilliger Boulevard. But, I had never really stepped into the park before and experienced its splendor. We headed out for a quick walk along Maple Ridge Trail, which begins at the Nature Center. After only a few steps, I noticed the calm and quiet of the area. My body began to relax, and I slowly began to notice more of the nature around me. First, I saw the red belly of a robin off in the distance. Next, I heard the voices of birds singing. Then, I began to notice the fauna. For one of the first times I can remember, I was studying the plant life. Now, maybe the plants caught my eye because I’m getting older. Or, the beautiful stillness of the park opened my mind. But, I’ve also been thinking a lot about my own garden, and how I can incorporate some native plants into my personal landscape. I was in nature’s nursery. I saw the plants in real time, if you will. And, I liked what I saw. As it turns out, Tryon Creek State Park has a handy little guide for creating a garden with native plants. The Friends of Tyron Creek State Park have put together a little self-guided tour along Trillium Trail to introduce visitors to the native plants. I know as I wandered along the trails, I had more inspiration for my garden than when walking the aisles of a commercial nursery. When I got home, I noted where I could plant a few of things I saw. I also discovered that the park is a great spot for longer walks and early-in-the-season hikes. With 8 miles of trails to choose from, I could easily spend a good part of the day there exploring. None of the trails were steep, and all of them were well maintained. What a great place to get those hiking legs ready for more challenging hikes in The Gorge or at Mt. Hood. However, I still felt like I had gotten away and into the forest. I couldn’t really hear cars, but heard birds instead. Photo by Benjamin Chan, Creative Commons License. Best of all, I experienced all of the emotional benefits of a hike in a more remote forest. Something about a forest canopy and carpet of ferns and flowers relaxes my nerves. I feel that serenity is within grasp, and that nature is part of who I am. It’s the scents, the sounds, and the calmness that speak to me and keep my mind from its normal spinning and circle-running. 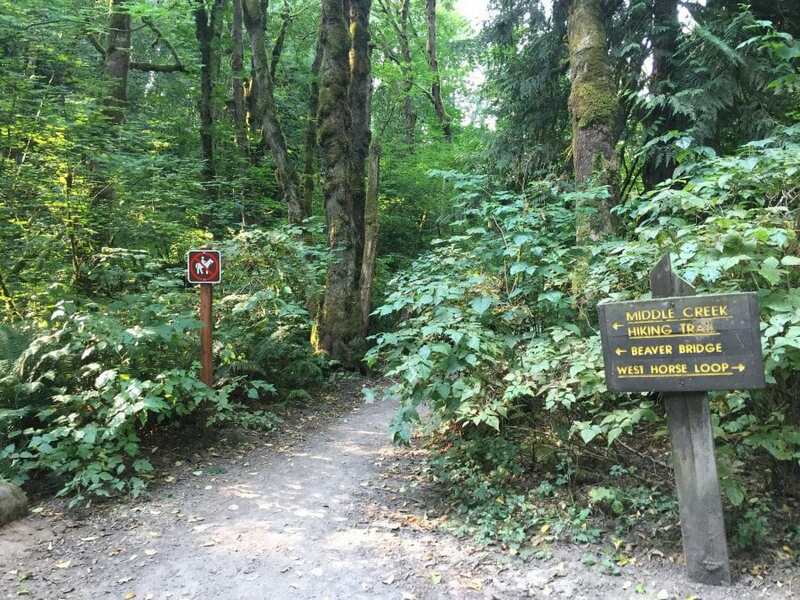 Tryon Creek State Park is a forest oasis in the heart of a big city. While it may be surrounded by homes, highways and city noise, it is peaceful within. Tryon Creek State Park, and other parks like Mt. Tabor Park, are special places in Portland. We are very lucky to live in a city that has protected these areas for us to enjoy. We have an easy escape from the busyness of city life, and places to regenerate our spirits and connect us with nature. Where are your favorite places in the city to connect with nature?